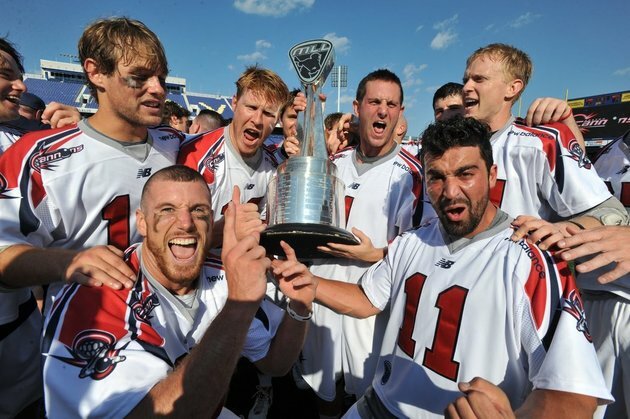 The Boston Cannons players get to take the trophy anywhere they choose for several days following the Championship. The Captain of the team is Mitch Belisle (former captain of Cornell when he was in college). Mitch brought the trophy (called the Steinfeld Trophy, the lacrosse version of the Stanley Cup) out to Southborough. Here Captain Belisle is shown with several young players from the Tomahawks program who showed up at the Southborough House of Pizza to have pizza and see the trophy. 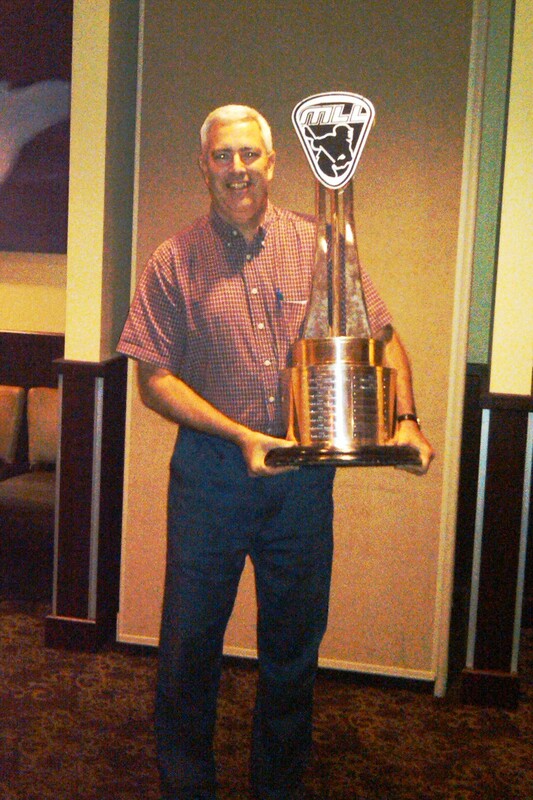 Many had their picture taken with the trophy, and Mitch signed many autographs. 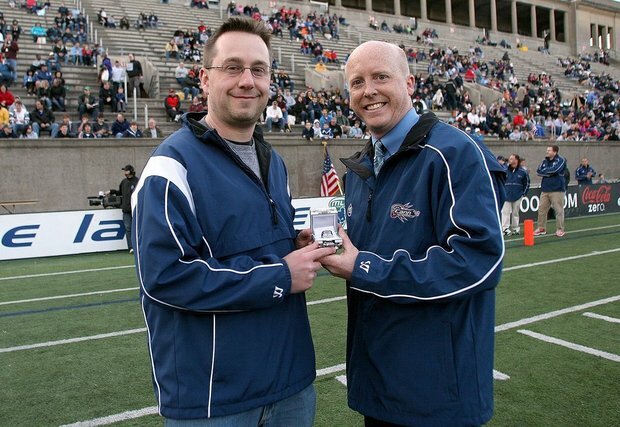 Our very own Coach Fossey was the winner this past April in the Cannons Championship ring raffle held at the season opening game last Saturday at Harvard Stadium. 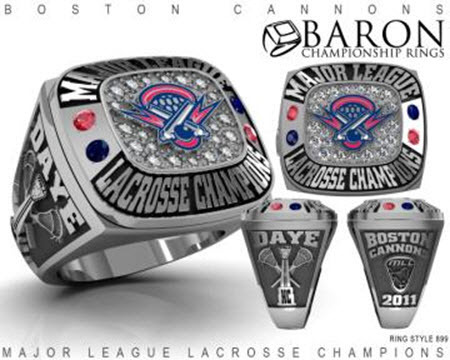 Here is a picture of Coach Fossey receiving his ring from Boston Cannons General Manager Kevin Barney during the pre-game ceremonies.